Developing the Word of God in the lives of our students is an important part of spiritual growth. Teen Bible quizzing is a tool that can provide an in-depth study into God’s Word. It uses Bible study, fellowship and competition to get the Word into the lives of our teens. For the 2018-2019 year the study is on John. Various levels for competition are available at the District quiz meets from beginning to expert levels. Beginners benefit from time spent together in the Word trying to get the Big Picture and application as individuals. More experienced quizzers commit to individual study time which may include memorization or other specialty emphasis. The level of participation is up to the discretion of the teen and their coaches. If you are a leader, parent or teen and would like more information about starting teen Bible quizzing at your local church, please contact me at the email address listed below. 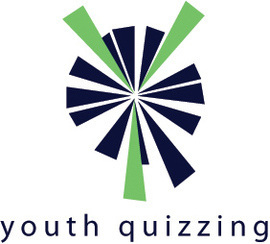 Youth Bible Quizzing (for iOS and Android; $4.99) from the Nazarene Publishing House is a simple, easy to use resource designed for Teen Bible Quizzers and Coaches. Memory Verses listed in verse order and alphabetical order. Pre-jumps are highlighted. Learn more about the NPH Youth Bible Quizzing App.